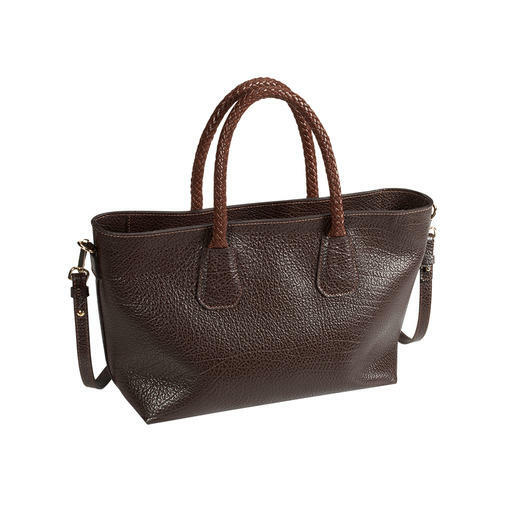 Made in Italy of the finest Italian calf leather. Beats many It bags: The designer bag for (almost) any look, any occasion. Both fashionable and classic. And incredibly versatile. Made in Italy by Cerruti 1881. Even if you own many handbags, often you don’t have one to match an outfit. 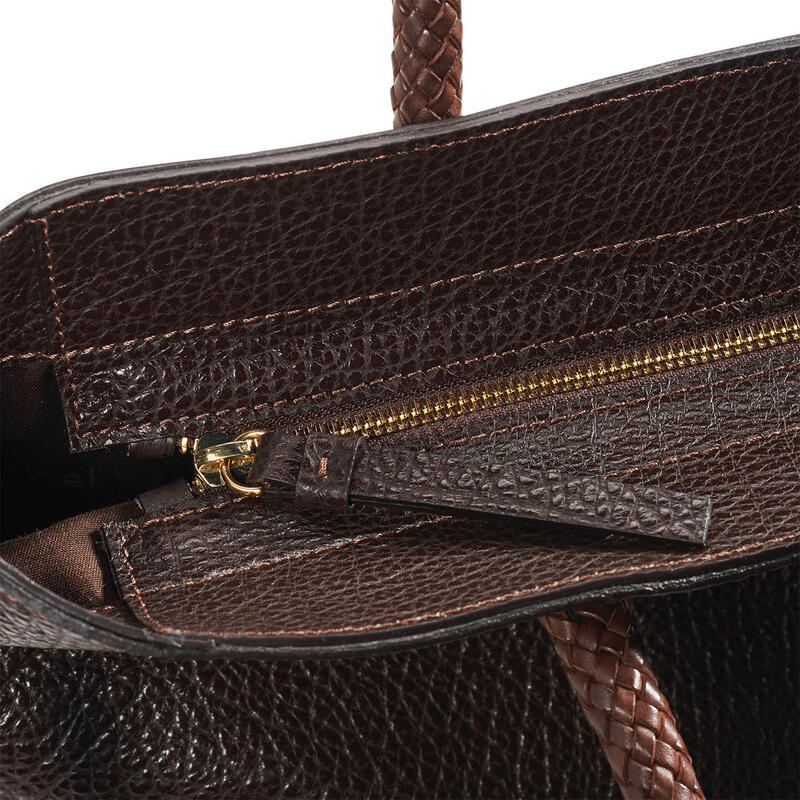 This is the one bag that practically always works. Restrained elegance, no overloaded pomp. The trapezoid shape is timelessly modern, the size suitable for daily and evening use. And the dark brown harmonises with almost all colours. 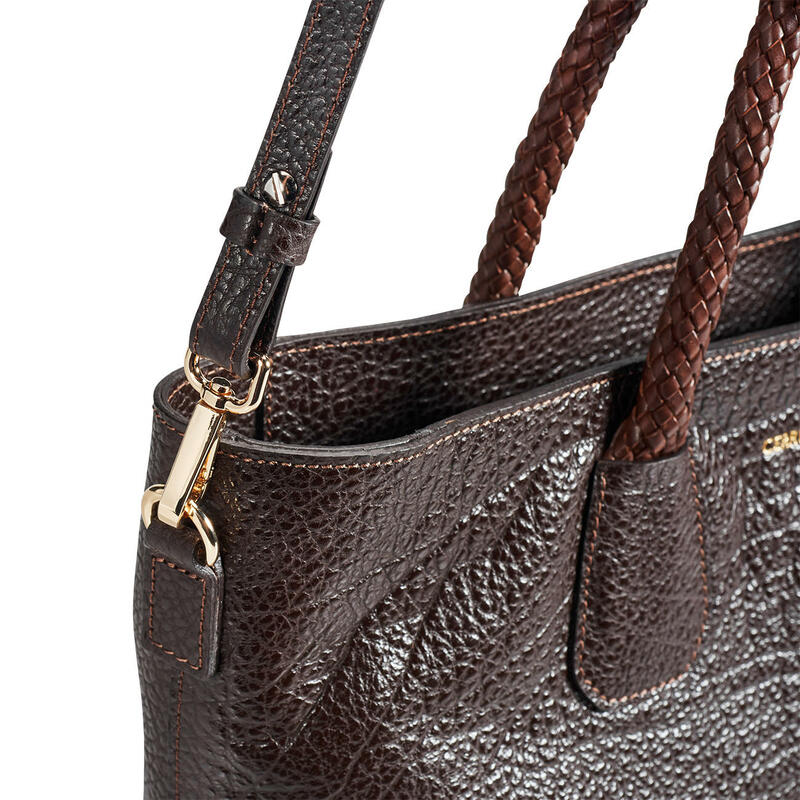 The expressive grain gives the bag a fashionably casual touch. At the same time, the surface is relatively robust. 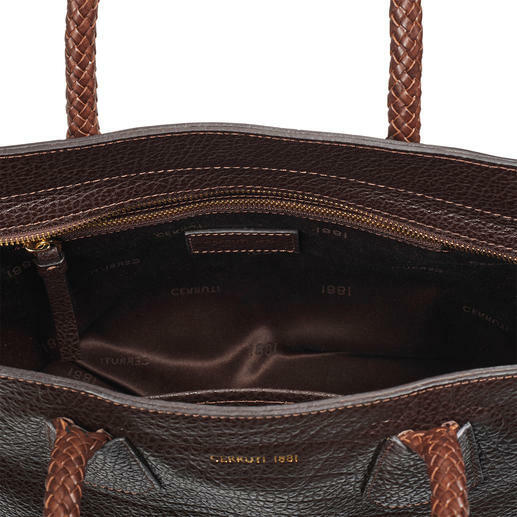 The short handle is sturdily plaited by hand. 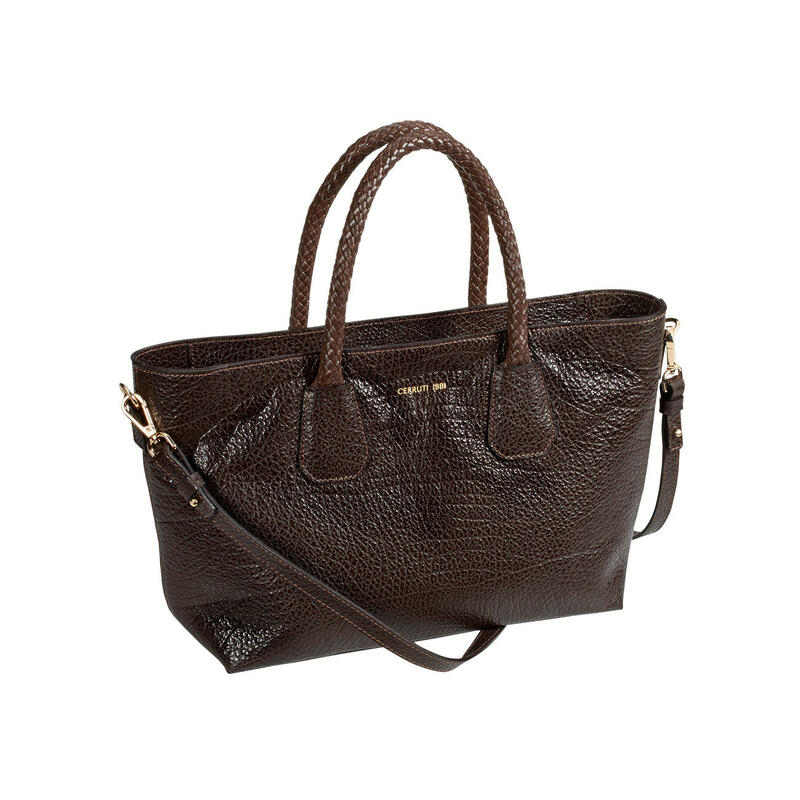 You can conveniently wear the bag with the attachable shoulder strap. Closes securely with a zip fastener. One zipped side pocket and an open pocket inside. 31 x 23 x 12cm (12.2" x 9.1" x 4.7") (W x H x D). Length-adjustable shoulder strap. Colour: Dark brown. 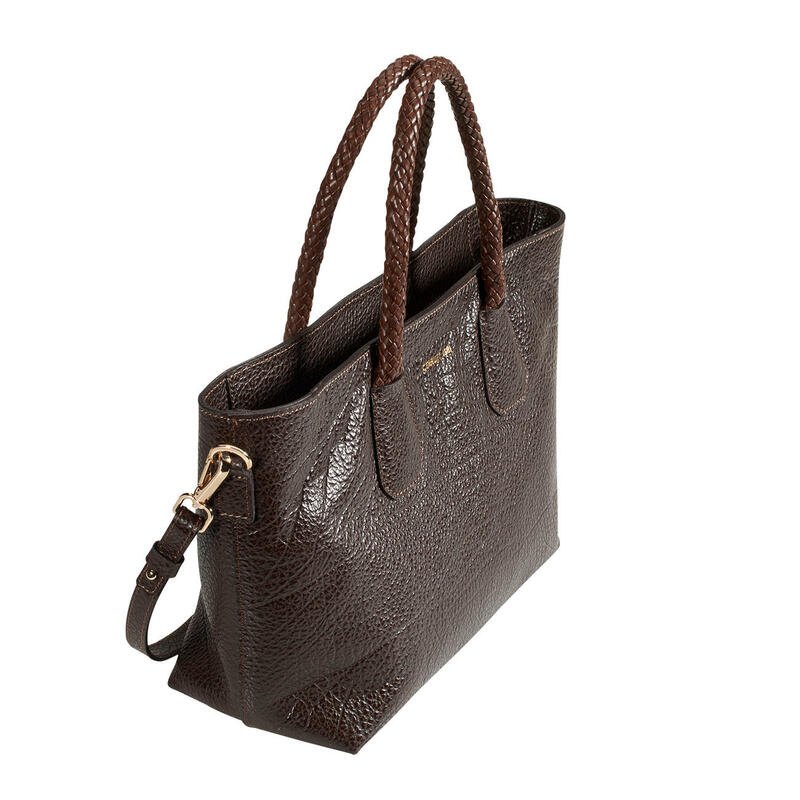 Calf nappa leather. Made in Italy.